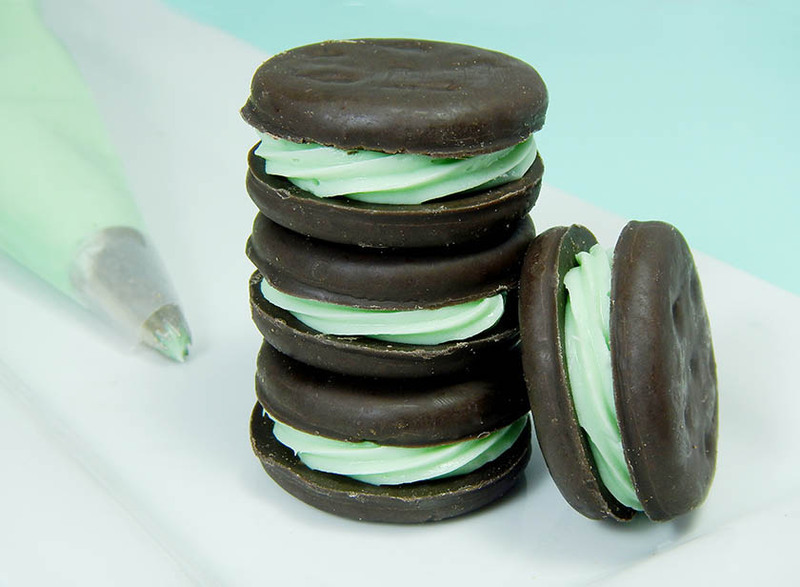 Just when you thought Thin Mint Girl Scout Cookies couldn’t get any better, these Thin Mint Cheesecake Sandwiches arrive. 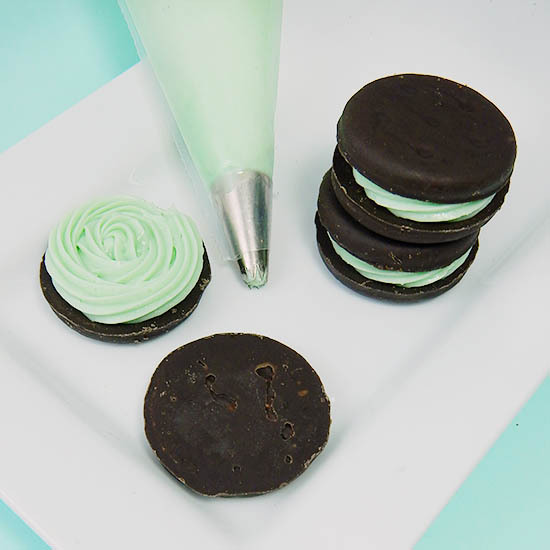 A swirl of creamy cheesecake beckons you from between two minty-chocolate cookies. 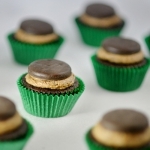 When Thin Mints are out of season and you’ve gobbled up your secret stash, you can use Keebler Grasshopper Cookies instead. 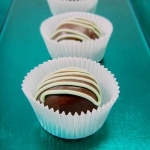 This recipe is so simple even the youngest Girl Scouts can help make them for their troop. 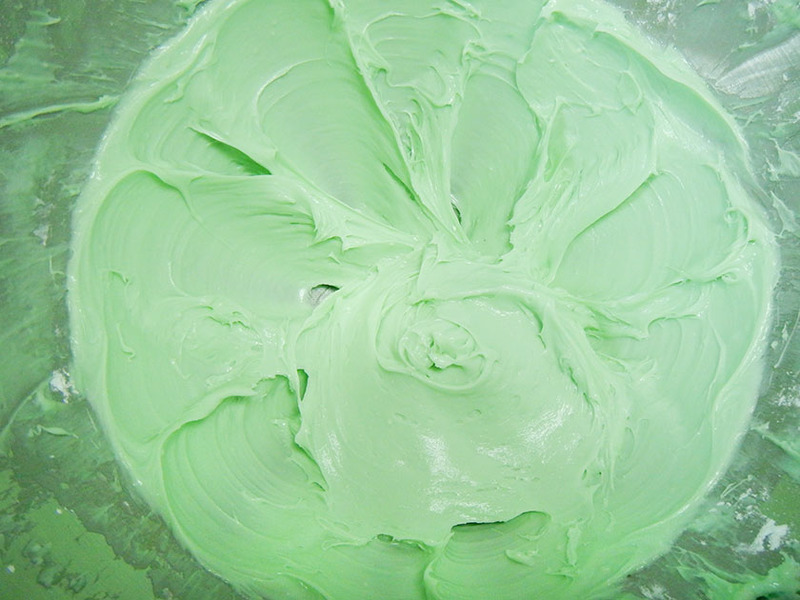 Just beat an 8 ounce package of softened cream cheese, 1 and 1/2 cups powdered sugar, 1 teaspoon of vanilla, 1/4 teaspoon peppermint extract, and four drops of green food coloring until the mixture is smooth. 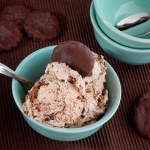 If you want to make this really simple, just put that no-bake cheesecake in a pretty bowl and call it Thin Mint Cheesecake Dip. 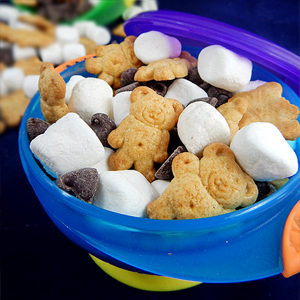 The kids will have fun dunking their cookies into it! 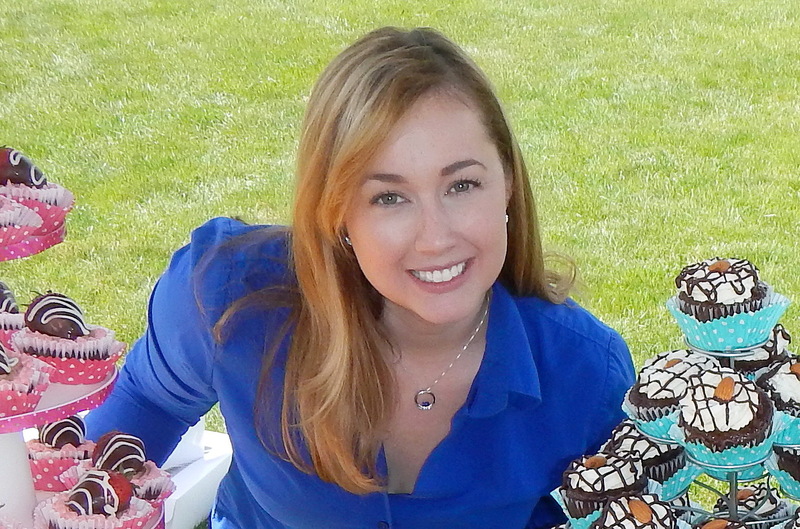 If you want to make the sandwiches scroll down. 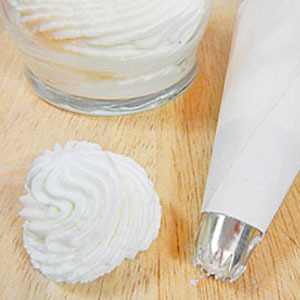 You could smear the filling on with a spoon or butter knife but a piping tip gives your cookies a pretty edge. I brought out my trusty Wilton 1M tip for this one. 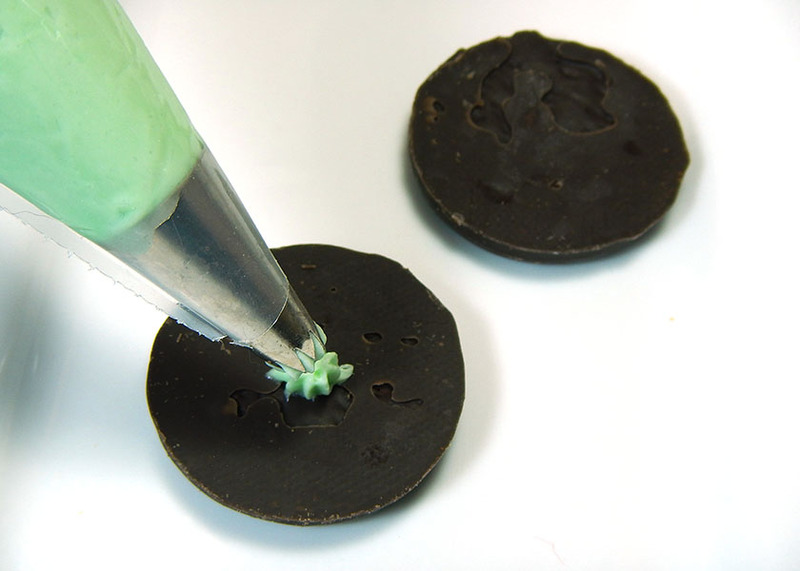 Start in the center of the cookie. With steady pressure draw a tight spiral. It looks like a flower! So pretty. 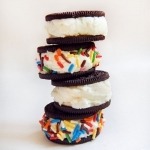 You can even serve them this way as open-faced sandwiches. 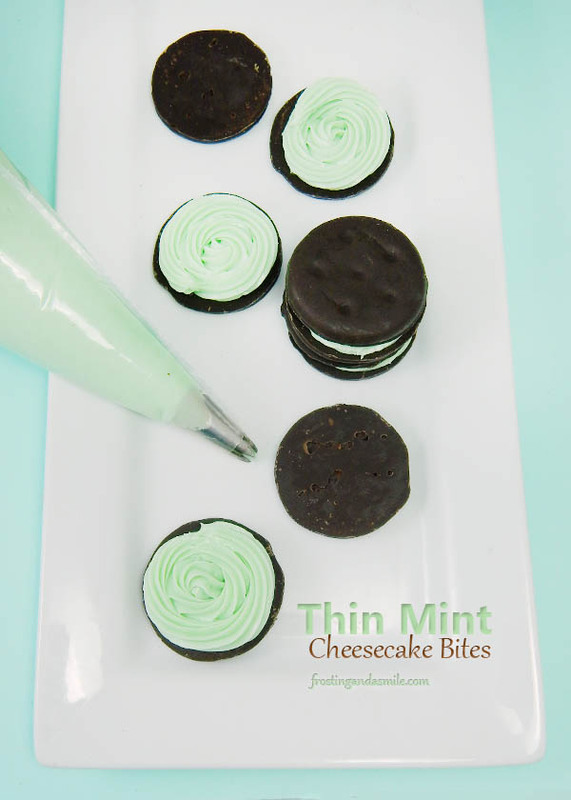 Gently press a cookie onto the top of your filling to make your Thin Mint Cheesecake Sandwich Cookies. 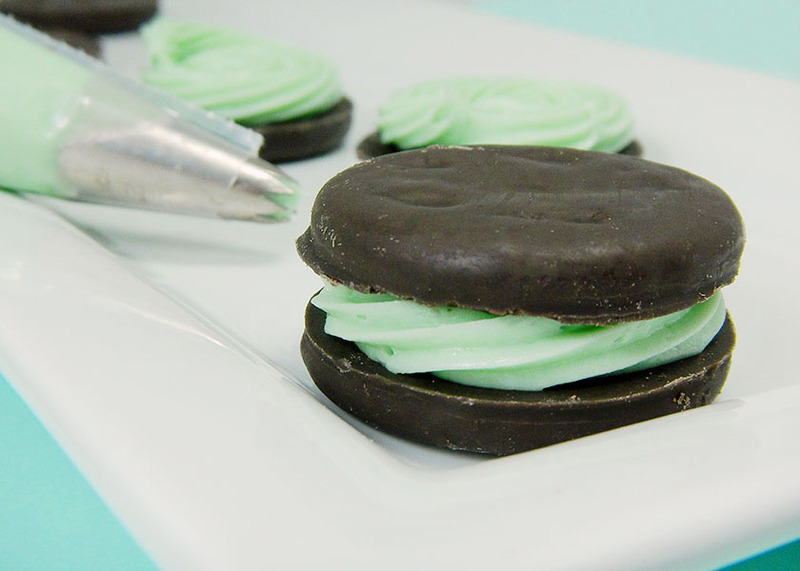 You can make the no-bake cheesecake and fill all of your Thin Mint Cookie Sandwiches in less than 15 minutes. 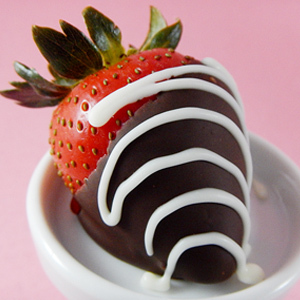 A recipe this simple deserves a merit badge of its own! 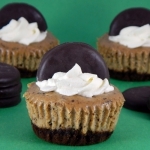 If you just can’t get enough Thin Mints, you might also like my Quadruple Thin Mint Cupcakes or my Thin Mint Cheesecake recipe. 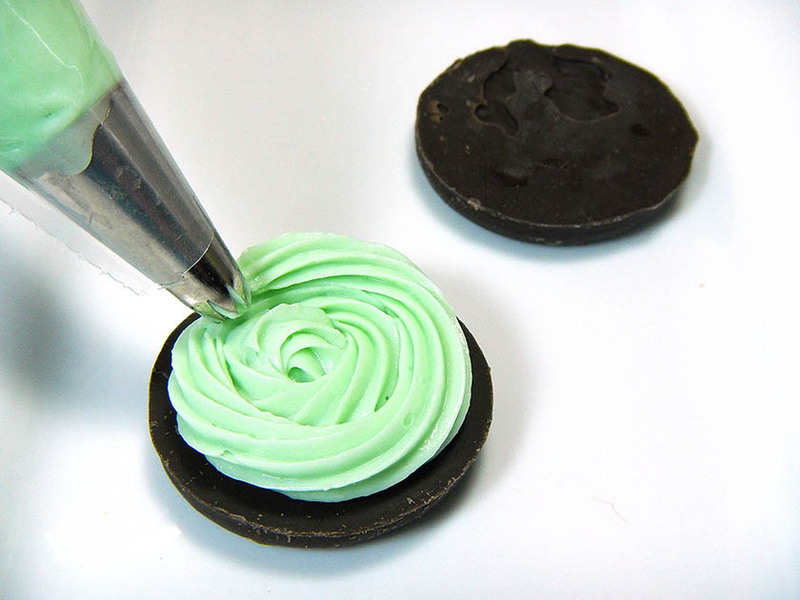 Thin Mint Cookies filled with swirls of no-bake cheesecake. 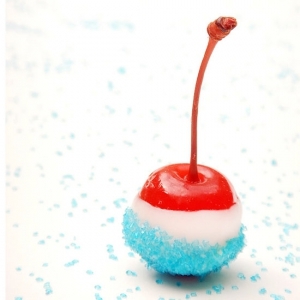 In large bowl, beat cream cheese, powdered sugar, vanilla extract, peppermint extract, and food coloring until smooth. Pipe or spoon filling onto bottoms of half the cookies. Top with remaining cookies. Store tightly covered in refrigerator for up to 2 days.